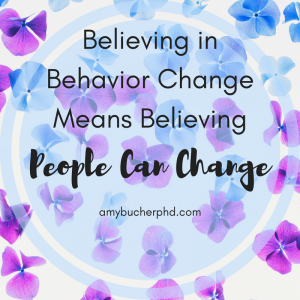 Believing In Behavior Change Means Believing People Can Change | Amy Bucher, Ph.D. I suppose this post is politically motivated, although I’ll try to leave the actual politics out so as to not obscure my point by putting off people with beliefs different than mine. I’ve noticed two general behavior patterns that disturb me with respect to politics and positions. The first is when a politician is called out for past behaviors or viewpoints in a way that implies he or she will never be fit for future service, regardless of current behaviors or viewpoints. The second is people who declare a change of heart and are told that it’s too little too late. The philosophy here is essentially that if someone has made mistakes in the past, then there is no room for them in the future. And as much as I sometimes also bristle at the things on someone’s resume, I just don’t believe that’s true. I can’t do the work I do and believe that’s true. Working in behavior change means, implicitly, that I have to believe people can change. People can put in the reflection and the work and become wiser, more evolved versions of themselves. They can change their minds as they learn. 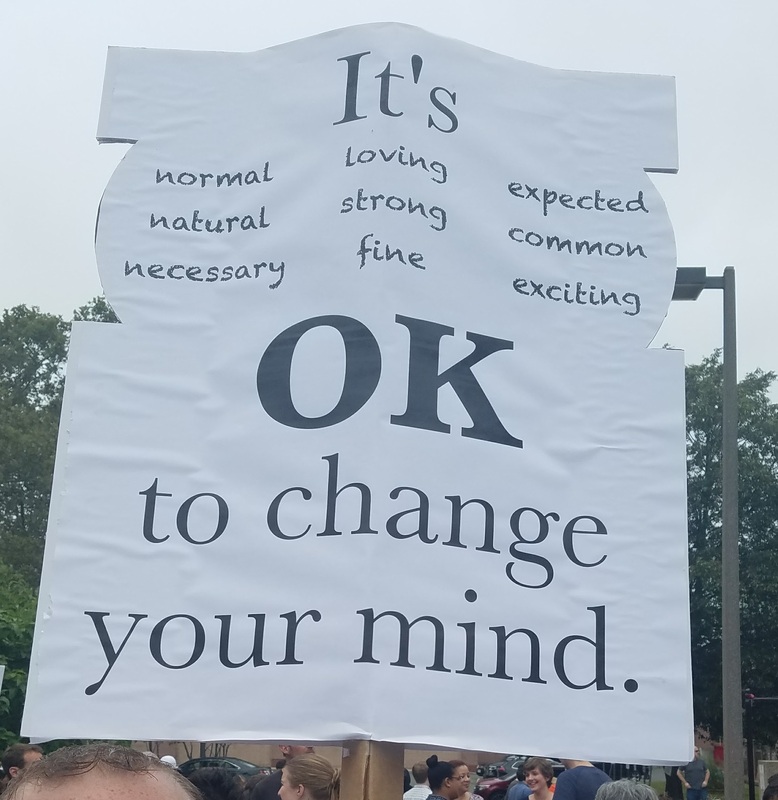 They can behave differently than they used to, because their viewpoints have changed or they are in a different context now or they have more information and a different behavioral repertoire available. People can change. Should people be let off the hook for their pasts? No. It depends of course on the type and severity of their past actions, but we are all accountable for the things we’ve done. I’m not talking about a free pass. It’s valid and reasonable to ask people to show you the work they’ve done to change. Ask for an explanation of what they’ve learned. If it’s merited, get an apology too. And yeah, sometimes there will be those offenses that are so egregious that change talk doesn’t count. But that’s not the norm. Don’t stop people from trying to do future good works because they’ve been responsible for past sins. 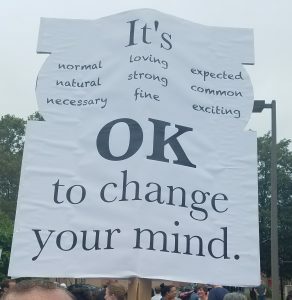 What would be nice to see is if a politician were able to explain “My views have changed since I [made that vote, enacted that policy, gave that speech]. I’ve learned the following information, and now I have a different viewpoint. I would do things differently going forward.” We don’t have a lot of room in our political discourse for this type of change talk, and I think that’s a bad thing. And it would be nice to see that when someone speaks up and said “I disagree with my own past words or actions, and I’m sorry,” that people take that as the first step in a forward process. To the extent that politics is a game of persuasion, you’ll never win anyone to your side as long as they know only chastisement awaits them. If you want to see a better future, you have to believe people can change. Otherwise we’re limiting the size and strength of our team, and that’s not the way to make any progress. If you believe in behavior change, you have to give people the opportunity to change. Do We Need Persuasion for Behavior Change?